As storage technology has evolved over the years, so have techniques for optimizing various aspects of the storage. This paper compares techniques still in production that optimized I/O characteristics, with contemporary techniques that optimize reliability. With solid-state disks such as NVMe1 disks, it is no longer necessary to optimize for I/O characteristics. 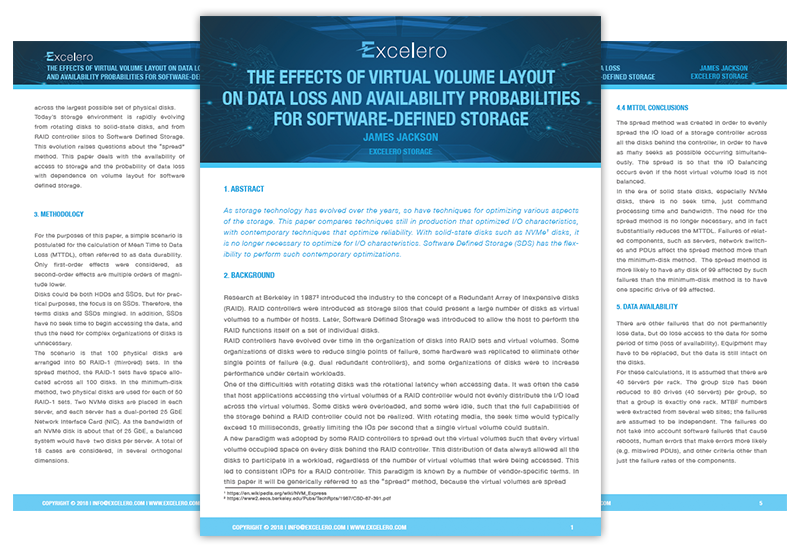 Software Defined Storage (SDS) has the flexibility to perform such contemporary optimizations.